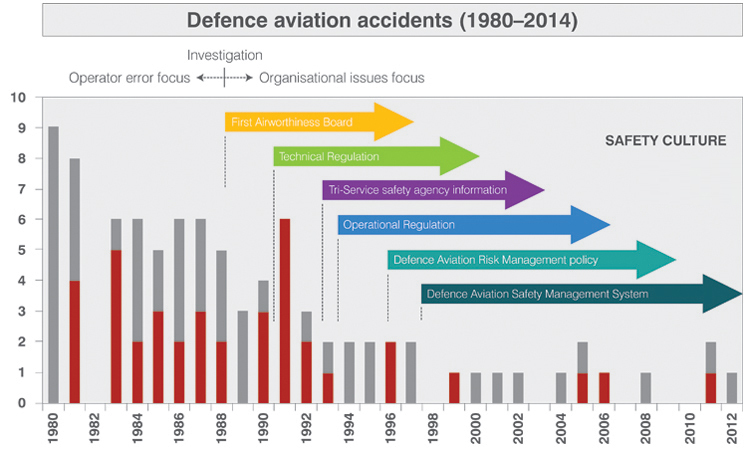 Air forces, armies and navies have revolutionised their safety culture and accident rates over the past 30 years. How did they do it and what can civil aviation learn from them? 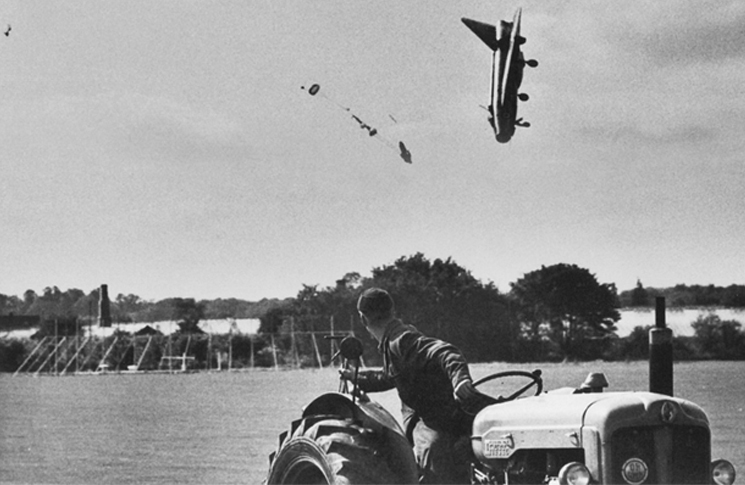 images above: 13 September 1962, Hatfield, England. An English Electric Lightning PB1 in the second before its destruction. Test pilot George Aird survived, after landing in a glasshouse. The crash was caused by fire in the afterburner which burned through the elevator controls as the aircraft was at 100 ft on final. Professional photographer Jim Meads took these pictures on his day off. Scattered across Australia, on the outskirts of rural towns and villages are a series of significant graves, a few here, a few dozen there. They are where some of the 2832 RAAF aircrew killed in flying training accidents during World War II are buried. 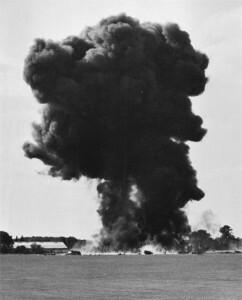 A further 724 were killed on operational training in Britain. These deaths represent a loss rate of about 10 per cent of the 37,000 aircrew the RAAF trained in World War II. The pressure of total war goes some way to explaining such an attrition rate, but the early jet era of the 1950s and 60s was also hair-raisingly dangerous by modern standards, despite being mostly peaceful. In The Right Stuff, literary journalist Tom Wolfe quoted US Navy figures showing that a navy pilot who flew for 20 years would have a 23 per cent chance of dying in a crash. ‘This did not even include combat deaths, since the military did not classify death in combat as accidental,’ Wolfe wrote. The operational histories of individual types confirm this terrifying attrition. Of the 3947 Gloster Meteors made, 890 were lost in crashes, overwhelmingly in peacetime and killing 444 aircrew. The later Gloster Javelin, which never fired a shot or dropped a bomb in anger, had 105 crashes out of 436 aircraft, a 24 per cent attrition rate. The Royal Canadian Air Force’s fleet of 200 Lockheed CF-104 Starfighters killed 37 pilots in 110 class A (hull loss) accidents, but was regarded as a safety improvement on the F-86 Sabre in Canadian service, which had 282 class A accidents that killed 112 pilots. Dangers were built into the first generation of military fast jets: the US Air Force’s F-106 Delta Dart had an ejection seat that killed the first 12 pilots who used it. The British Fleet Air Arm’s carrier-based Supermarine Scimitar had a crash rate of 39 of the 76 made, or 51 per cent, and came with a distinctive hazard: radioactive instrument dials, for night visibility. Australia’s military aviation safety record is similar to that of other western air forces, though perhaps marginally better for some types. Of the 116 Mirage IIIs operated by the RAAF between 1963 and 1987, more than 40 crashed, causing the deaths of 15 aircrew and one civilian on the ground. The F/A-18 operated by the RAAF since 1984 has enjoyed a distinctly better safety record. Only four of the 75 ordered have been lost in crashes, and none has crashed since 1992. However, since 1980, the defence force as a whole has lost 89 aircraft. Between 1999 and 2011 no Australian military aircraft was lost in the three campaigns of the 21st century: East Timor, Afghanistan and Iraq. (Since 2011 two Chinook helicopters have been destroyed in Afghanistan.) However, three peacetime disasters resulted in each branch of the Australian defence force examining and improving its safety management. The RAAF Boeing 707 crash in 1991, when a pilot asymmetric flight training exercise led to loss of control and a crash into the sea. The Army Blackhawk helicopter collision of 1996, when two troop-carrying helicopters crashed on a nighttime exercise flown with night vision goggles. The Sea King helicopter crash in Indonesia in 2005, when a broken flight control on approach to landing led to loss of control and a crash that killed nine of the eleven on board. ‘A pint of sweat will save a gallon of blood.’ George S. Patton. 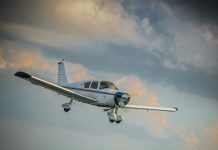 Three themes emerged in Flight Safety Australia’s discussions with military aviation safety specialists. 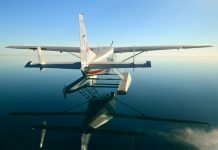 The formal military structure of airworthiness boards and reviews is unique, but these three themes translate well to civil operations of any size. They are the three Cs: communication, commitment and culture. On a May weekday at the Shoalhaven Entertainment Centre in Nowra NSW, a predominantly male audience enjoyed a variety show with a difference. It was the Fleet Air Arm’s annual safety stand down, although there was not a uniform to be seen. There was awed silence as miner Todd Russell recounted his underground ordeal at Beaconsfield, in 2006, then penetrating questions about the state of safety systems that had allowed the mine collapse to happen. There were gales of laughter as a local zookeeper described the lighter side of being bitten by a crocodile, but also a serious point about the importance of keeping to standard operating procedures, as the rueful keeper admitted he had not done. At day’s end the commodore of the Fleet Air Arm looked like a school headmaster and took a similar informal but serious tone as he addressed the audience on the importance of every one of them taking concrete actions to ensure safety. The sartorial tone of the day, with slightly rumpled tweed on the shoulders of senior officers, and a gamut of youth fashions among younger personnel was a deliberate policy, says Fleet Aviation Safety Officer, Lieutenant Commander Jeffrey Topping. Fleet Air Arm psychologist, Robert Forsterlee, says the informal policy was one element designed to ensure free communication. Communication is vital because safety has to be achieved in every area, Forsterlee says. Put another way: hazards lurk everywhere. RAAF Squadron Leader, Steve Ferguson, says communication has to extend beyond military boundaries. He regards interaction and communication between civilian and military safety specialists as essential so that ideas stay current and perspectives get fresh examinations from outsiders. However, Forsterlee acknowledges there is much more to communication than presenting a large volume of information. That’s why the Fleet Air Arm used the device of the safety stand down. Savill says for communication to be effective your audience has to ‘listen and take note of what you are saying’, but how you get them to listen and stay engaged is the key. You need to convince your audience what you are saying is important without simply ‘banging the safety drum’ or making exhortations. ‘You have to be a safety champion, not a safety zealot,’ he says. 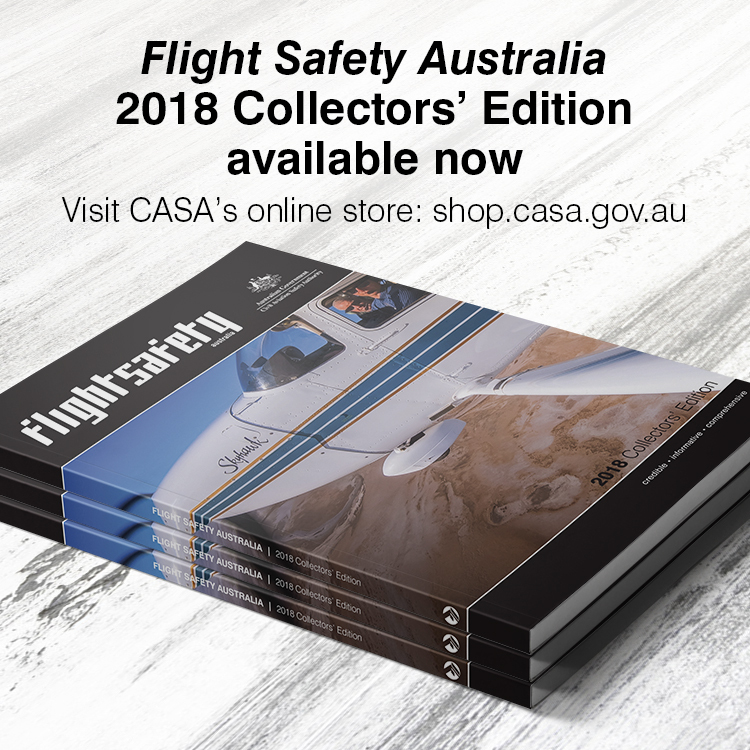 For CASA Director of Aviation Safety, and former RAAF Air Commander Australia, Mark Skidmore, safety is the foundation of effective operations. He says it was an interesting discussion with commanders sometimes to ensure they understood that safety was not a barrier, but an enabler. For this reason, Skidmore was zealous about ensuring that all air force commanders took safety seriously. Without a commander’s wholehearted commitment, any safety management system will be ineffective. The commander must accept the requirement for a robust ASMS and ensure all subordinates are aware of the command commitment to ASMS. Commanders must continually demonstrate their commitment to aviation safety (and work health safety), as this will directly influence the attitudes, beliefs, values and behaviours of subordinates, and their commitment to aviation safety. In his day-to-day work Forsterlee notes an encouraging trend. Greater safety knowledge and more widespread training mean the days of a once-common scenario, in which a commander waters down safety practices in order to improve a unit’s score by other measurements, such as readiness, are over. Communication and leadership commitment are never more important than in times of change. Topping says the Fleet Air Arm is undergoing just such a period, which brings heightened risks. ‘Two of the four squadrons are moving facilities. We’re introducing two new aircraft into service, the MRH-90 and the Seahawk Romeo, and there is a significant workforce transition as 723 squadron winds down and we introduce the joint army/navy helicopter aircrew training system (HATS),’ he says. 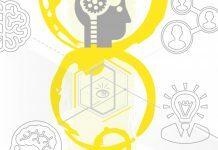 All that change adds up to a significant distraction for the workforce and leads to a greater likelihood of system-induced latent error developing, he says. The Fleet Air Arm’s Topping is committed to a just and fair culture, the concept that safety policy will recognise human error as part of the human condition and, in the interests of open reporting of potential hazards will not prosecute for any human action other than deliberate or malicious acts. ‘That’s what we strive for. It’s an ongoing battle because safety and culture are dynamic,’ he says. ‘Consistency is a big part of that; particularly in the reporting culture and the manner in which we apply disciplinary action. Topping stresses that a just and fair culture is very different to what was sometimes called no-blame culture. A brief discussion with the instructor involved revealed he had been distracted by another radio call. ‘If that report had stopped with no-blame there would have been no discovery of the root causes,’ says Topping. Forsterlee notes that it is not just military culture, but technology culture, that is changing. Military safety managers emphasise that safety comes from managing risk, not avoiding it. The military doesn’t have that option.